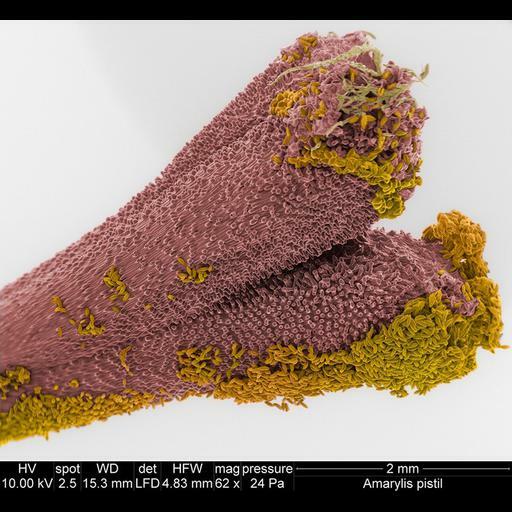 Colorized scanning electron micrograph of Amarylis stigma (pink) with pollen grains (yellow) adhering to sticky glands on its surface. Some pollen tubes (olive green) carrying genetic material can be seen on top of the stigma. Imaged in low vacuum without prior dehydration. Dynamic focus and long working distance used for depth of focus.